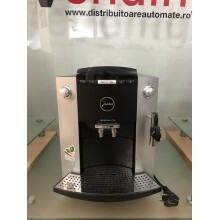 These home use coffee machines have been carefully hygienized and reconditioned with worn or damaged parts replaced and are being sold completely clean, revised, tested and set to correct parameters of working. All these machines are are coming with 3 months warranty and also free training is given for free on delivery. 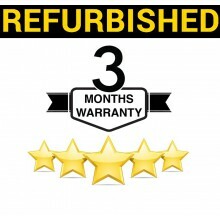 The warranty commences from the date of invoice for a term of three months. In the unlikely event of claim please return your machine to us when we will effect a prompt repair. In the event of a third party unauthorized engineer being instructed, please be aware that this will invalidate your warranty and we will not be liable for any costs incurred under any circumstances. Scale related problems. If the machine is fed with unfiltered water, limescale will form and clog the machine up. The valves will choke and jam, the boiler element will become coated in concrete-like scale and the machine will fail. This is preventable by the purchase of a water filter, which should be regenerated at least once a year depending on use and water hardness. Connection to inappropriate electricity source. Use of aggressive cleaning products. Refurbished There are 3 products. Jura Impressa F50 espresso machines, perfect condition, complete, tested and revised. No VAT included. Jura Impressa XJ5 espresso machines, perfect condition, complete, tested and revised. No VAT included. Jura Z5 espresso machines, perfect condition, complete, tested and revised. No VAT included.